BASE is involved in arrange of policy initiatives and consultations with Government and other stakeholders. Find out more about our work on policy, employer engagement, funding, commissioning, quality and workforce development. You can view our policy platform here. Our policy platform spells out what we'd like to see happening to support people with disabilities to achieve their employment ambitions. BASE has responded to Improving Lives, the government's green paper on disability, work and health. Read about the Government proposals and our response to the consultation. 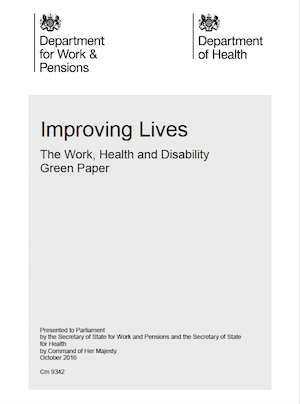 This work follows on from the previous work on a disability employment strategy and the Fulfilling Potential disability strategy. The SEND reforms are part of the Children and Families Act and are a major change to the provision of support to young people who have a disability. Find out about the changes that have come in, Health Education and Care Plans, and supported internships. We're keen to promote Supported Employment to employers across the country and are looking at how we can better engage with national employers. BASE has worked with a group of employers to develop a charter that sets out what they expect from providers. We will be looking to see how this charter can be further developed and promoted. 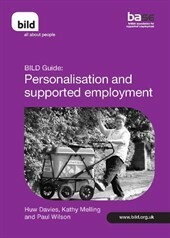 BASE has stressed that the concept of personalisation is a very different issue to how to fund individual support. Find out more about our position on personal budgets and individual budgets. We want to see improved quality within Supported Employment. Find out about the National Occupational Standards, our proposed quality standards for services and our training and consultancy services. Information about supported business and public procurement.